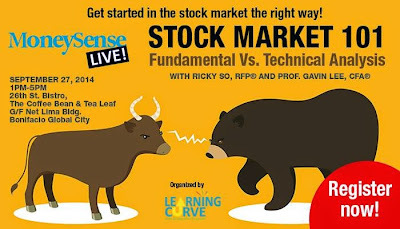 Be Wealthy: PSEi breaks 7,100! 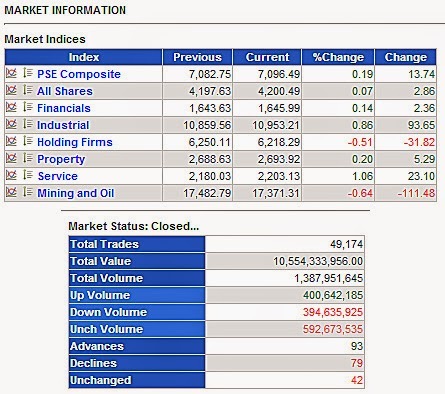 At the beginning of this year COL Financial forecasted that PSEi might hit 6,900 for 2014. That indeed has happened and much more; It has already crossed the 7k level in August. Is it going to sustain and break 7,200? Or PSEi will pull back in the coming days as investors and traders start profit taking. Unfortunately starting tomorrow it is a long weekend in the Philippines (21st Aug is Ninoy Aquino Day while 25th Aug is National Heroes Day). Thus we have to wait until Tuesday to see what will happen. The PSE continues to be one of the top performing markets in the region, with the PSEi up almost 20 percent year-to-date – according to PSE website.